It has been seven years since Steve Jobs unveiled the first iPad and the world lauded its entry. Now that the initial hype has faded, the jury is still out on how long the tab industry will remain in play. The question is - do we really need a tablet when phablets or super-sized smartphones are making a splash along with hybrids and convertibles with touch displays? A couple of years ago, you would have found a market chock-full of interesting choices from every PC and smartphone manufacturer. But with tab sales dwindling, many have pulled out, not leaving you with too many options. In case you are still looking for one, here is a hand-picked list of six top tabs the market has to offer. Read on to see which one takes your fancy in terms of power, performance and design. 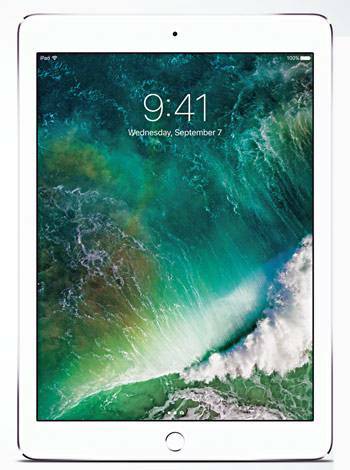 After launching the iPad Pro last year, Apple has now introduced an affordable device - a bright 9.7 inch Retina display with over 3.1 million pixels for great visuals. It runs on Apple-designed A9 chip with 64 bit desktop-class architecture. The new iPad features Touch ID, ensuring a simple, secure way to unlock the tablet and approving purchases from the App Store and the iTunes Store. It comes with iOS 10 and several multitasking features such as Slide Over, Split View and Picture-in-Picture to help you do even more. You can get the 32 GB Wi-Fi model for Rs28,900 and the 32 GB Wi-Fi + Cellular version for Rs39,900. This splash-resistant 10.1 inch HD Android tab comes with a couple of rare features, a built-in 70 lumen pico projector that can project a 70 inch image, and good quality audio. You will also find a cylindrical spine with a kickstand on one side, which pops out if you press a button and allows the tab to stand at various angles. There is a hook as well to hang the tablet. Powered by a 2.24 GHz quad-core Intel Atom X5 processor and paired with 2 GB RAM, it is a decent performer. The 10200 mAh battery is good enough to last a couple of days with a usage of 7-8 hours daily, and it even bundles up as a battery pack to charge your smartphone or any other gadget.You can buy this tablet for Rs39,990. If you are in a hurry to buy an iPad but do not want to spend a fortune, consider a refurbished device instead of buying a pre-owned one. 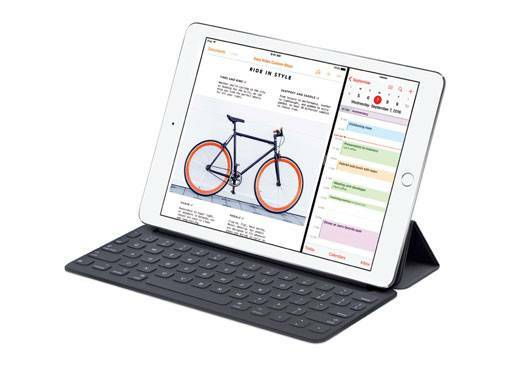 Players such as Overcart and Gobol offer refurbished, factory seconds, open-boxed and even pre-owned iPads at discounted prices along with three to eight months of seller warranty. But the number of iPads on sale is limited and you have to scout regularly to get your hands on a great deal. A word of advice: Do not buy very old models as you may not get the latest OS updates and some of the apps may not work. This tab has been around for more than a year and offers value for money. 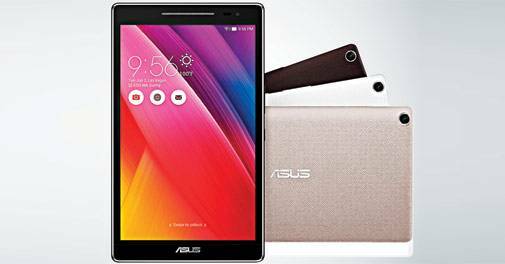 The 8 inch Android tablet that comes with a full HD display, a 76.5 per cent screen-to-body ratio and premium audio, works well for media consumption, basic browsing and gaming. It can be a perfect secondary screen for kids or anyone looking for light usage. The ZenPad 8.0 runs on a 1.8 GHz octa-core Qualcomm Snapdragon 615 SoC and is paired with 2 GB of RAM. It has 16 GB of onboard storage, of which 11 GB is user accessible. The 4000 mAh battery can last for nearly a week if you use it for a couple of hours every day. Asus has also designed an audio case for the tablet. At Rs14,999, this is quite pocket-friendly; the audio case will cost you an additional Rs3,000. You won't find too many Windows tablets as manufacturers largely focus on hybrids and convertibles. The most popular in this segment is the Microsoft Surface Pro 4, but Miix 310 from Lenovo's stable is an affordable choice with a decent performance. This ultra-sleek detachable tablet, weighing 580g, can be connected to a physical keyboard that comes with it to form a classic clamshell notebook. The keyboard dock is lightweight too, and weighs 520g. The Miix has a 10 inch full HD display and operates the Windows 10 Home smoothly. It is powered by an Intel Atom X5 quad-core processor, features Intel HD Graphics and comes with 2 GB of RAM. The device offers several connectivity options, including a micro HDMI port, a microSD card slot, microUSB 2.0 and two USB ports on the keyboard. This Windows detachable is retailing for Rs17,590. A spectacular device in terms of power, performance and portability. It runs on 64-bit A9X chip and the TrueTone display uses ambient light sensors to adjust colour and intensity in sync with the light surrounding you, thus reducing eye strain. Apple has added powerful speakers that reorient the high frequencies to the two topmost speakers, irrespective of the way you hold the iPad. 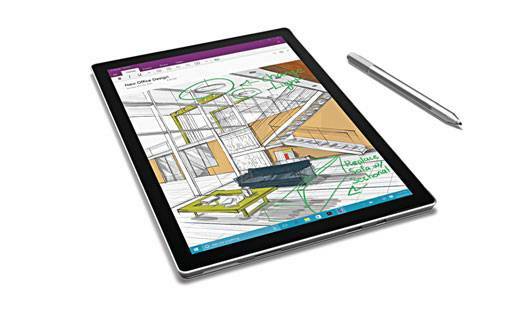 Plus, there are Smart Keyboard and Pencil stylus solely designed for this device. There is also a 12.9 inch version that Apple claims to be a laptop killer. This one is expensive with the price starting from Rs49,990 for the 32 GB Wi-Fi-only variant. Launched in India in January 2016, this flagship from Microsoft is a superb piece of hardware that acts as a perfect laptop too, when paired with the Type Cover keyboard. It boasts a 12.3 inch display with 2,736x1,824 pixel resolution, making everything appear super crisp. There is a kickstand at the back that makes it easy to stand. It runs on Windows 10 and Microsoft's virtual assistant Cortana is also there. The device is super sleek (8.4 mm thick and weighs 771g) while a USB 3.0 port and a Mini DisplayPort have been added for connectivity. 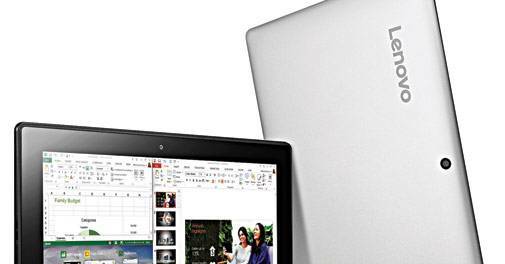 This one comes in different versions and only the ones powered by Core M and Core i5 are available in India. The tab powered by Core i5 is paired with 4 GB RAM, offers 128 GB internal storage and supports memory card. It costs Rs96,900 and the Type Cover can be bought separately. Usage: A tablet, in all probability, will be your second or third screen. Therefore, you need to figure out what you want it for - entertainment, gaming, reading or work. Will it be your grab-and-go travel buddy or a sedate stay-at-home gadget, which is only used when you give your laptop a break? Unless you are looking for an efficient workhorse or a gaming device, you need not buy the latest and most powerful processor. Size: Tablets come in various sizes, ranging between 7 and 12.9 inch. 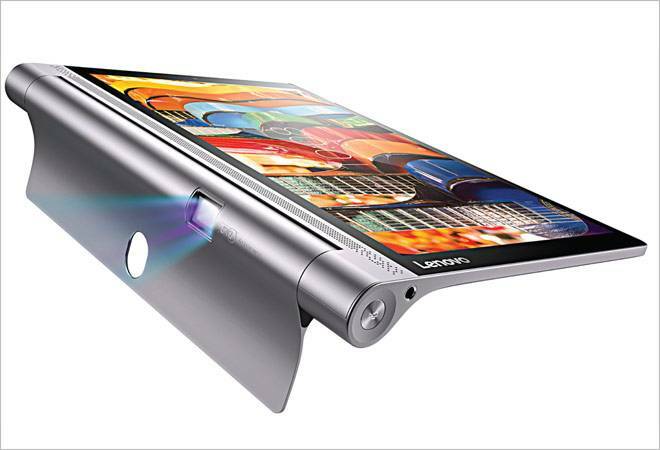 While 7-8 inch devices are easy to carry and use, the 8-10 inch tabs offer the ideal screen size for all kinds of usage. The larger 12.9 inch displays are considered as laptop replacements and work that way when paired with keyboards. OS and apps: Apple's iOS is the most popular operating system, followed by Android, and both boast numerous apps across categories. The Windows tablets will make you happy if your focus is productivity. Consider the device ecosystem. Go for an iPad if you already have an iPhone and/or a MacBook as syncing data across devices will be seamless. Storage: Onboard storage is crucial. Unlike smartphones, you do not end up upgrading tablets every year or two. But movies, music, books, videos or apps are space guzzlers and once you run out of space, the device will slow down. So go for a higher capacity if the tablet does not support expandable memory. connectivity: Apple tabs come in Wi-Fi and Wi-Fi-plus-cellular versions, and there is a price difference of around Rs10,000. Some other brands also offer both options. If you need connectivity on the go, consider the cellular version. Otherwise, use your smartphone to create a mobile hotspot and connect your tab to the Internet.